US builder confidence for newly-built, single-family homes surged past market expectations in July to hit its highest level since 2006, a leading industry study revealed on Tuesday. The National Association of Home Builders (NAHB)/Wells Fargo Housing Market Index (HMI) of builder sentiment showed a significant increase for the second consecutive month rising from 44 to 57 in the May-July period. The last time such a back-to-back increase occurred was in early 1992. Any reading over 50 indicates that more builders view sales conditions as good rather than poor, and that they haven’t been impacted too severely by a sudden rise in mortgage levels in the past few months, economists say. “Builders are seeing more motivated buyers coming through their doors as the inventory of existing homes for sale continues to tighten,” NAHB chief economist David Crowe said in a press release Tuesday. In July, all three HMI components posted gains. The component gauging current sales conditions increased 5 points to 60, the highest in seven years. “Meanwhile, the component measuring sales expectations for the next six months rose by 7 points to 67 and the component measuring traffic of prospective buyers gained 5 points to 45, both marking the strongest readings in more than seven years,” the press release said. “Today’s report is particularly encouraging in that it shows improvement in builder confidence across every region as well as solid gains in current sales conditions, traffic of prospective buyers and sales expectations for the next six months,” NAHB Chairman Rick Judson said in the press release. 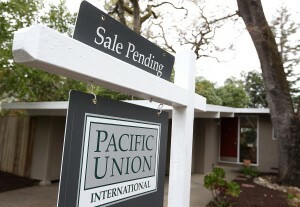 “Mortgage rates are moving higher and pulling people in. And I think that in general, the economy is getting better,” he said.